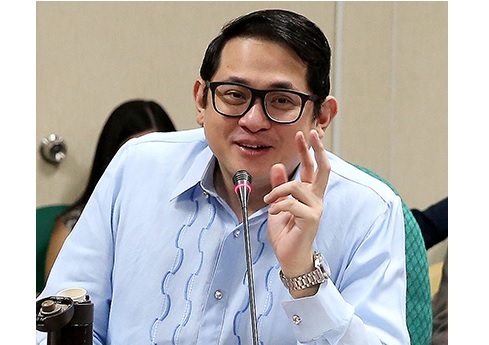 Sen. Paulo Benigno “Bam” Aquino IV has called on concerned government agencies to provide necessary support to Filipino scientists to boost the country capability in terms of research and development. “We want to make sure na ang ating Filipino scientists, hindi lang sila makabalik dito at magkaroon ng opportunities sa ating bansa bagkus pati iyong mga nandito hindi na kailangan lumabas ng Pilipinas,” said Aquino during the hearing of the Committee on Science and Technology which he chairs. Aquinop said his committee will focus on the passage of Senate Bill No. 679 or the Magna Carta for Scientists to help address the issue. “Nakita natin na full support ang DOST, ang DTI, all of the agencies are fully supportive of this bill. This will hopefully unlock our digital startup community,” the lawmaker said of his Senate Bill No. 175 or the Innovative Startup Act. Among those who expressed support for the bill were Department of Science and Technology secretary Fortunato dela Pena, other government officials, and private stakeholders. “Maraming startup sa ating bansa na magagaling. They have very good ideas pero nasasayang dahil nahihirapan magsimula ng negosyo at nahihirapan sa mga regulasyon,” he said. If enacted into law, Aquino said the Innovative Startup Act will make it easier for tech startups to set up and build successful businesses in our country.